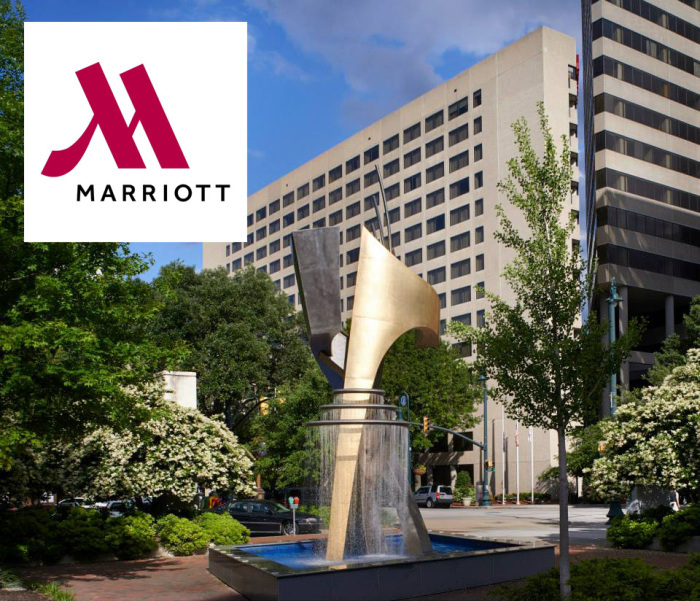 The Marriott in Columbia, SC is situated in the heart of downtown, just steps from the state capitol building, the Congaree River, the University of South Carolina, and popular shops and tourist attractions. 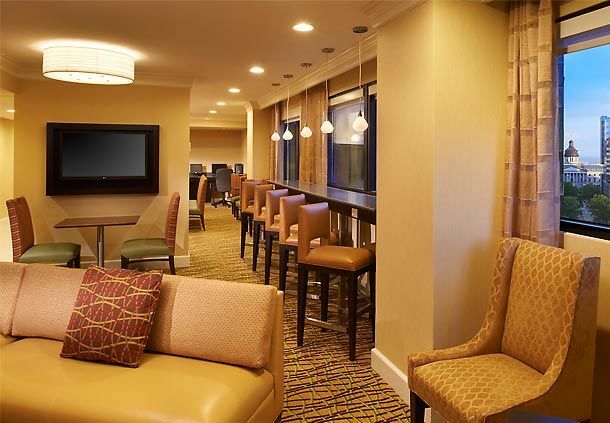 In an effort to reposition itself as the top property in the market, the Columbia Marriott underwent a $12 million renovation to completely transform the look of its 28,000 square foot lobby space and to update all guest rooms and suites. “Marriott is changing its brand to meet the future travelers,” said Joel Darr, general manager of Columbia Marriott. 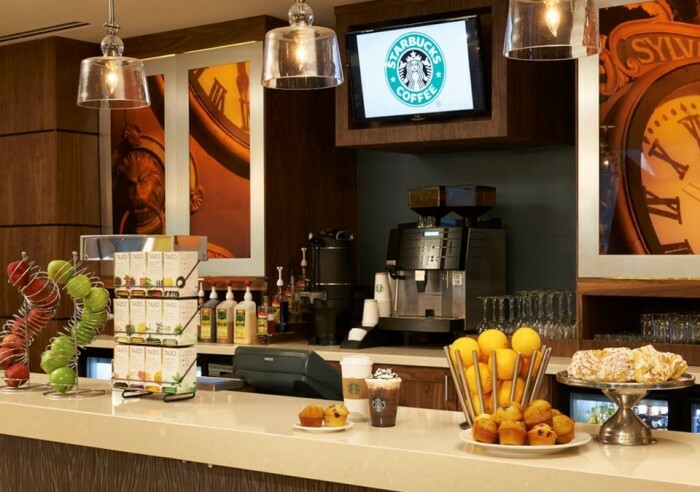 Darr sees the hotel’s new clients as “master blenders,” people who work and play while staying connected via mobile devices. 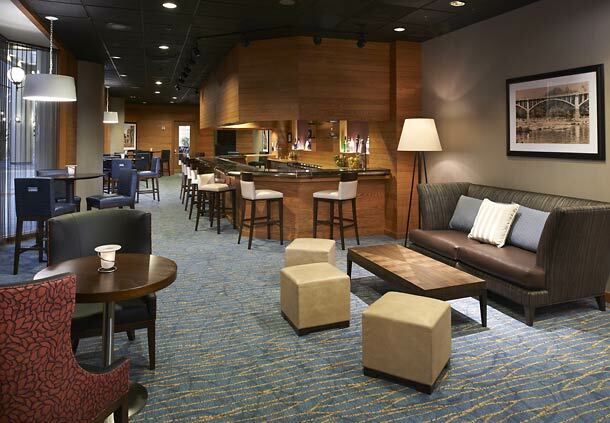 To accommodate their needs, Marriott introduced the “great room” concept that mixes communal spaces for travelers who want to stay plugged in, while maintaining plush, quiet spots that provide comfort and relaxation. 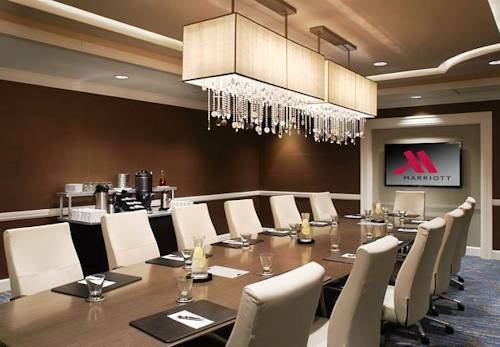 Boston’s Group One Partners was hired to renovate the property and implement the Marriott Great Room program. 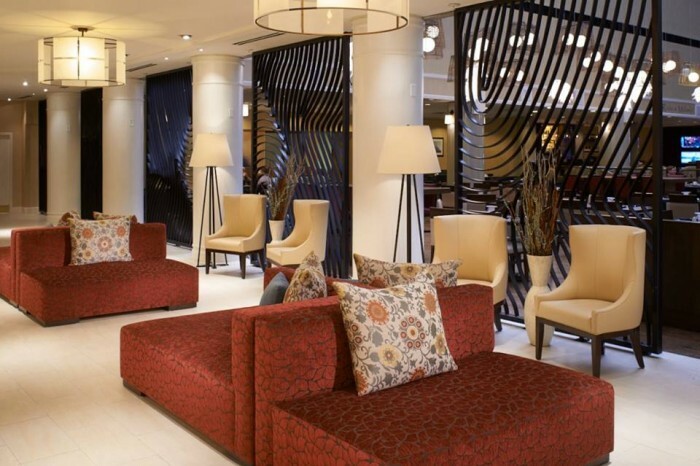 To accomplish this, Group One interior designers used the design motif from the state tree – the palmetto – in conjunction with patterning from the flow of the local river to set the overall design and palette. 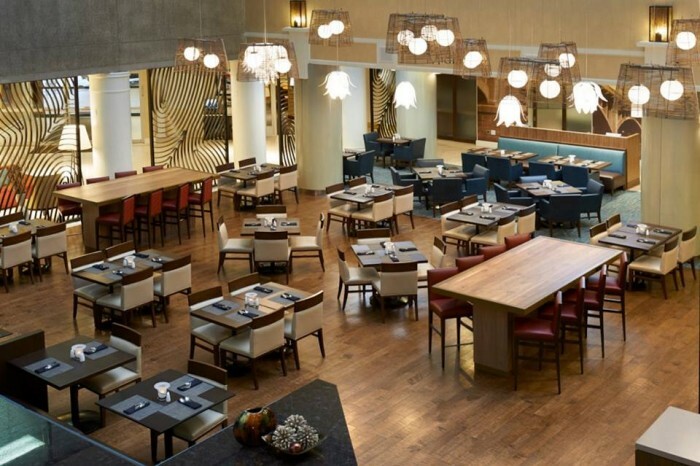 The lobby now features a teak focal wall, decorative metal-clad columns at the main entrance and large metal screens to separate the restaurant from the lobby while still maintaining a visual connection. 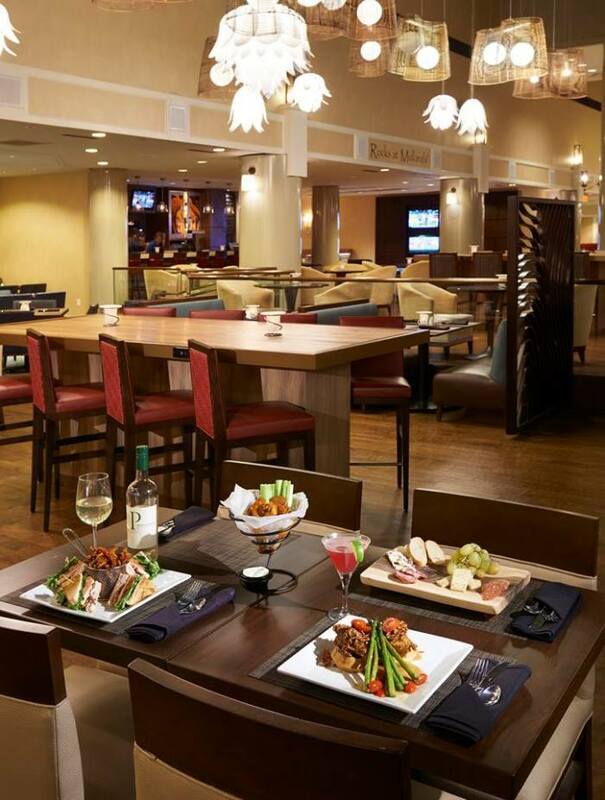 Royal Contract Lighting was commissioned by Group One to incorporate canopy lighting with a mix of petal and basket fixtures in the restaurant to create a better lit and more intimate dining experience. 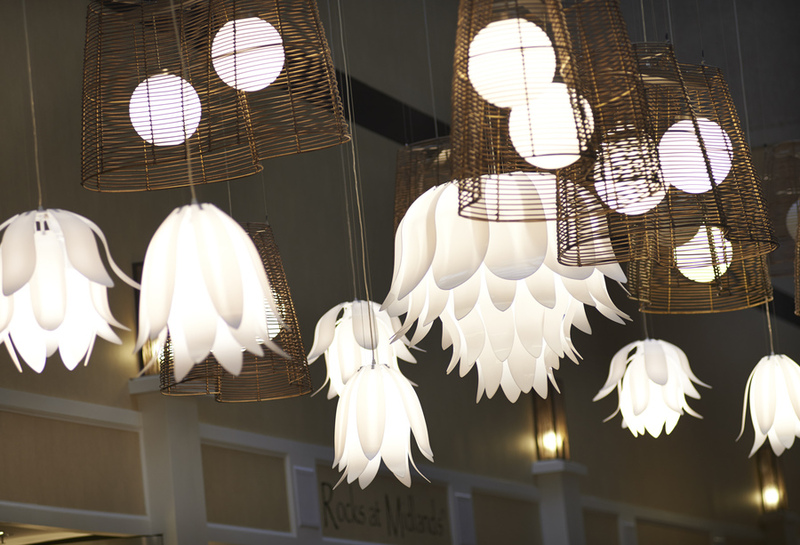 The petal lights are hand formed from acrylic, and all the fixtures are 100% custom from the designer’s inspiration. 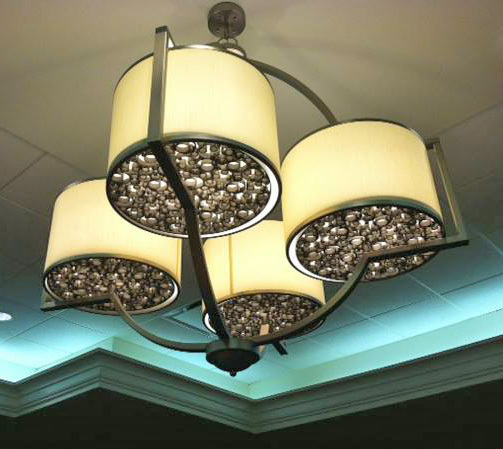 Other lighting throughout the hotel included a variety of oversized drum fixtures, pendant lights, crystal and shell chandeliers, and chandeliers incorporating custom metal work that was produced in our Taunton facility. The result of the renovation is a contemporary look and feel, which complements the existing architecture and finishes of the hotel.